Start off the holiday season right by heading out to pick up a REAL tree for Christmas. 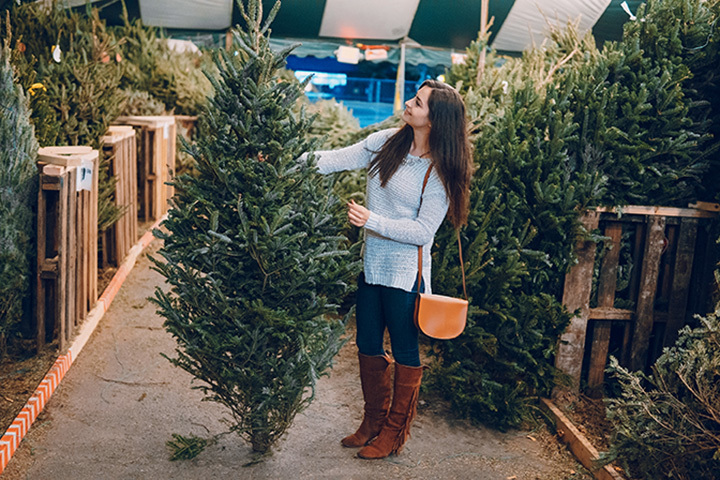 A real tree from the farm brings a certain authenticity to your home around the holidays, and nothing compares to getting to do that with your family. Picking out a tree marks the beginning of the month-long excitement building up to the big day. Make sure you find the perfect tree by checking out these excellent Christmas tree places in Nevada! Deerbrooke Farm has hand-selected Christmas trees available in varying sizes. Choose from one to 20-foot-high trees. They specialize in Douglas, Fraser, grand, noble, and Nordmann fir trees. Nobles Christmas Trees has two locations, one in Reno and the other in Minden. Customers rave about their long-lasting trees. Choose from a variety of firs in a whole selection of sizes! Rudolph’s Christmas Trees is one of the most popular Christmas tree spots in Vegas, with five locations stretched out across the state. They sell Douglas fir, Nordmann, Fraser fir, grand fir and noble fir. Moon Valley Nurseries offers over 1,500 varieties of trees, including the most popular Christmas trees. They’re a bigger outfit than many of the other additions on this list, with locations across the U.S. Stop by any of their three Las Vegas locations to see what’s in stock. Few people know that you can actually cut your own Christmas tree right out of the Humboldt-Toiyabe National Forest. While the experience doesn’t come with the same bells and whistles a few other locations might have, there’s something awesome about heading out into the forest to chop down your own tree. Make sure to check the official Nevada Division of Forestry’s website for permit information.